Update releases additional processing from the audio core of every SD console and can be fitted to all existing surfaces. 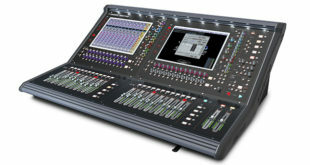 Digico has released Stealth Core 2, an upgrade to its existing Stealth Digital Processing, at the NAMM Show in Anaheim, California. Stealth Core 2 will release additional processing from the audio core of every Digico SD console and can be fitted to all existing console surfaces, taking the complete range to a new level in terms of both processing channels and functionality. The upgrade, which will be available as an option to all existing users, includes a re-look at the application code, further future proofing existing and future investments in Digico products. • A new look application code, which updates the user experience, delivers more processing power and provides a new screen graphical interface. • Upgraded FPGA processing power. • Full Dynamic EQ on every channel and buss. 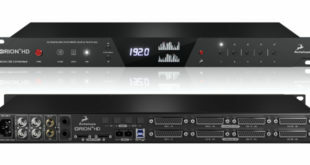 • An increase in the SD9 channel count from 48 to 96 channels of full processing at 96kHz. • An increase in the SD7’s total number of processing strips to 600, all at 96kHz. • The SD5EX system has moved to a higher level, matching that of the current SD7 in terms of connectivity and audio processing.